This is the official exposure guide for photographers using LEE Filters range of Stopper long exposure camera filters. 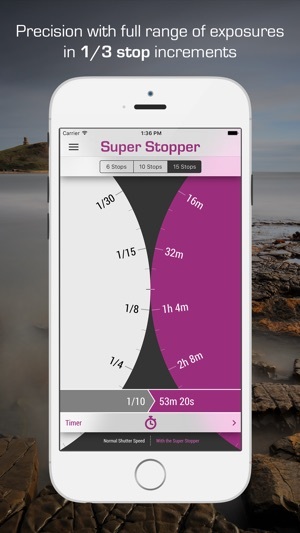 It's designed to help you get the most from your Big, Little and Super Stopper filters - accurately calculating the precise exposure you require and offering a flexible timer for very long shutter speeds. Turn the left hand wheel to dial in your metered shutter speed (before you insert any filters) and read the adjusted exposure on the right hand wheel. 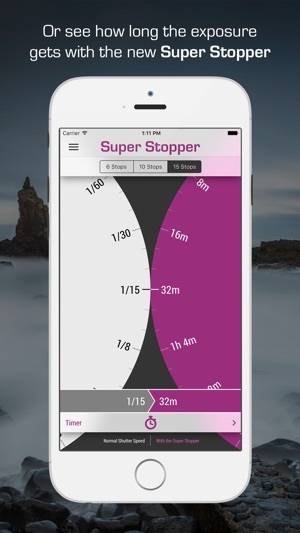 The app converts a full range of shutter speeds in 1/3 stop increments. 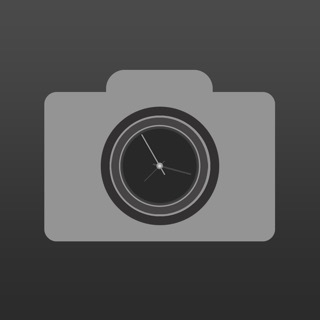 Use the built-in countdown timer for any exposure over 5 seconds and see in a glance how long you have left. For very long exposures you’ll also get a reminder notification plus all countdowns finish with an alarm and a timestamp. 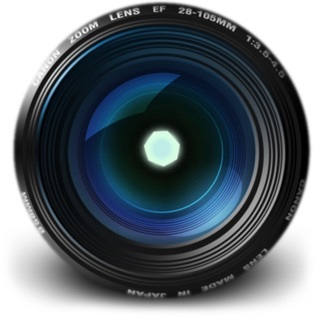 There’s also a handy User Guide and links to a variety of informative and inspirational web resources to support your Stopper photography. The app does a very simple thing (which admittedly it is fairly easy to do in your head) but it is good for confirmation and the timer is a nice touch. 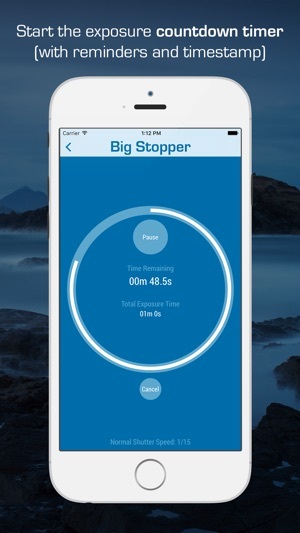 Great app, really simple to use and I like the inclusion of the timer. Exposures seem to be pretty much spot on using the suggested exposure time. 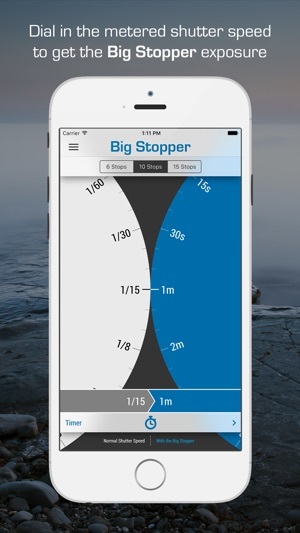 Great little app, only does one thing but it does it well. It’s an elegant design, the simple ones always are. One future feature request. 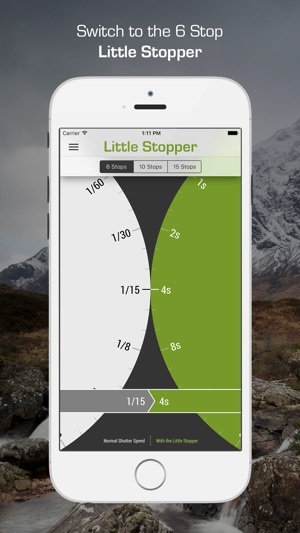 Allow the user to enter the number of stops manually, not just via buttons. Keep the shortcuts for the Little, Big and Super Stoppers for a quick entry. Can you add an Watch app, please?